After the conference, there was a ceremony organized under the new AGICOA project to support BH cinema, films “Dead Fish” by Kristijan Milić and “The Swedish Heart of My Mother”by Adis Bakrač. 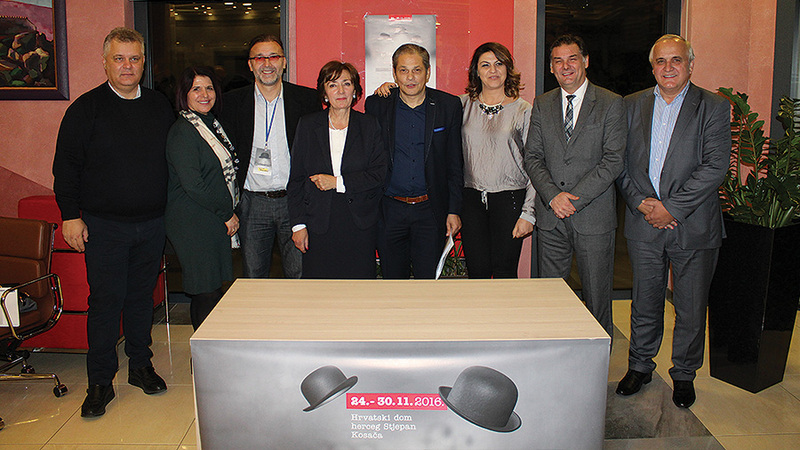 In the presence of Minister of Culture in the Federation of B&H, Zora Dujmović, and Minister of Culture and Sports in Canton Sarajevo, Mirvad Kurić, the projects that received the greatest support from the Foundation for Cinematography Sarajevo in 2015 and 2016, also provided the AGICOA funds to support the implementation of these projects. In the future, AGICOA will continue to support domestic production, with a special emphasis on young authors and their projects, through the project of support for BH cinema, in cooperation with the Ministry of Culture in the Federation of Bosnia and Herzegovina and the Ministry of Culture and Sport in Sarajevo Canton.